Perfect protection for your Gigaset GS100. The Full Display HD glass display protector for the Gigaset GS100 is a screen protector made from flat, tempered glass that covers the entire front surface of the device thanks to its slim design. The shape of the Full Display HD glass is optimised to guarantee full protection against scratches, falls and dust while ensuring that the phone remains easy-to-use and fully functional. The glass fits perfectly and comes with an anti-fingerprint coating, thereby preserving the excellent feel of the original glass. Fitting the screen protector is simple, so even inexperienced users will be able to fit the protector in a matter of seconds without trapping any air bubbles. 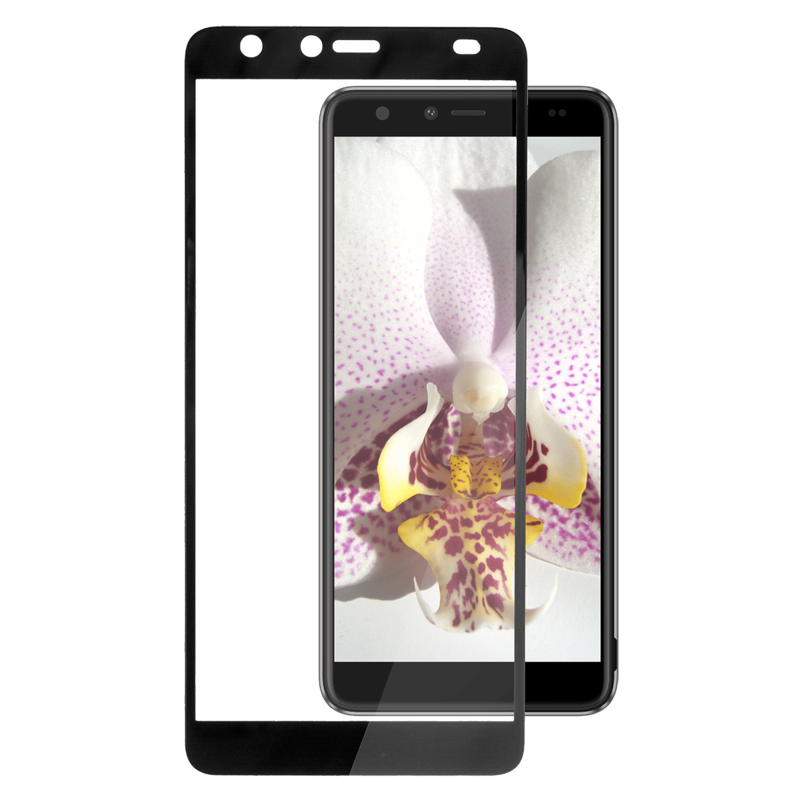 The Full Display HD glass display protector is available in 2 colours: Black and white - matching the front colours of the Gigaset GS100.